Despite what you may think after viewing the above photo - The Mountaingoat Bike - Sögreni Bikes is one of Copenhagen's more bespoke bike brands. Sögreni was established by designer Sören Sögreni back in 1981. He quickly built himself a reputation for unique and contemporary designer bikes. While he has since branced out into bespoke bike accessories, kitchens and furniture, his shop in Saint Peder's Street is still all bikeness. You get craftsmanship, that's for certain, and you get design. 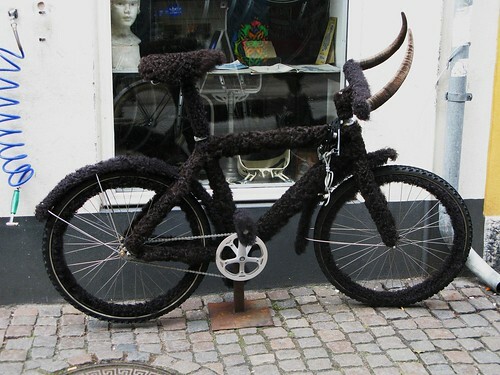 Sögreni's bikes also give you the opportunity to make a statement. You decide what it might be, but he probably has a bike that fits the bill. The Mountaingoat, seen above, fits just about any statement you choose to make. Just be as creative as he was in inventing it. 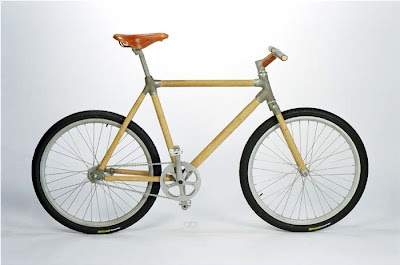 In this day and age, Sögreni's Wooden Bicycle may be more straightforward if you're looking to comment on environmental issues, as so many people are. You're sure to be a rolling advert for sustainability. And it looks wicked cool, too. The company, of course, produces bespoke models of 'regular' bikes, too. Fine functionality and elegant designs. As seen below in the Young Shatterhand model, for men and women. 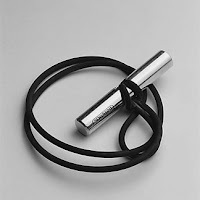 In addition to his bikes, Sögreni produces wonderfully designed accessories. 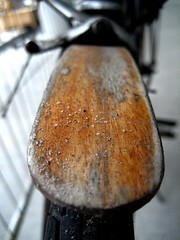 Among them are unique, classy bike bells, stylish trouser clips and earthy fenders. One thing we really fancy is the pop-up bike rack, seen below. 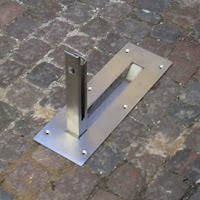 It would be brilliant to see these embedded in the oceans of cobblestones in Copenhagen. Just place your front wheel in the groove, click your wheel lock and you're off for a coffee. Another exciting brand on the massive Danish bike market and we like Sögreni for their flair, design and playfulness. The latter being something that is often lacking in the bike world. Check out Sögreni's WEBSITE - it's in English. And see what else he has cooked up.